Fryers Forest is a rural eco-village in central Victoria consisting of 11 residential titles (1 acre each) clustered within 300 acres of common native forest. 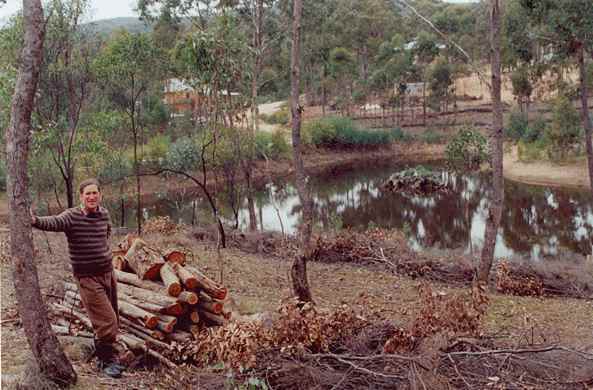 In the mid 1990’s Samantha and Haridas Fairchild joined forces with David Holmgren and Su Dennett to develop the Fryers Forest eco-village using permaculture ethics and design principles. Since 1999 the Fryers Forest Owners Corporation has represented the lot owners in management of the community land and assets as well as governance of the private lots. In the absence of a Fryers Forest Community website, Holmgren Design provides the following historical and limited information about the residential lots and round timber and firewood sales. The first lots were sold by the developer (Fryers Forest Research and Development) in 1998 and the last was sold in 2006. Since then most lots have been developed and some have changed hands. Eight of the original couples are still residents and some second generation “foresters” maintain a strong connection to the place. 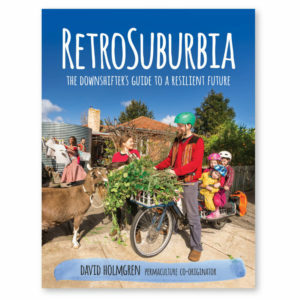 The planning of the subdivision, infrastructure of roads, water supply and services as well as the community rules and guidelines were established using permaculture principles. Holmgren Design Services provided planning and design expertise as well as management throughout this process. All of the 11 residential lots were sold by an informal “word of mouth getting to know you” approach. The inclusion here of the following flyer text is to provide general information rather than to directly recruit new community members. 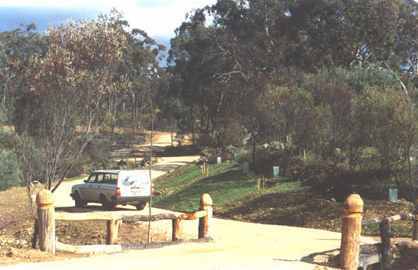 1998 – Entering the village precinct at Fryers Forest over the Nuggerty Creek crossing with box wood rails from thinned forest. 3. 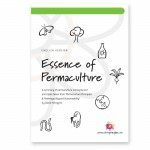 Allotment and architectural design advice from Holmgren Design Services plus owners’ manual with detailed information and guidelines based on permaculture design principles. 4. Initial stock of dry firewood, bush timber and topsoil (from common land). The common land at the Fryers Forest Community is being husbanded to encourage the growth of larger retained trees by thinning smaller and stunted trees. This provides yields of firewood and durable post and pole timbers. 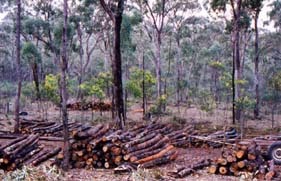 Wood is sold from the property to customers in the central Victorian and Melbourne region as part of a long term sustainable management which will improve both the ecological and timber asset values of the community land.